Joanne is a retired high school and college educator who taught advanced courses in world history, art history, humanities, and cultural anthropology during her thirty-five year career. She has served on the board of directors for various organizations. Well acquainted with life on the sea, Joanne lived aboard her 45’ sailboat for twelve years, enjoys sailing and windsurfing, and has traveled extensively. 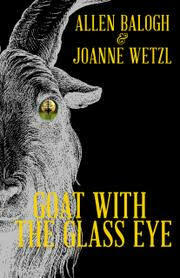 ‘Goat with the Glass Eye’, which she coauthored with her colleague Allen Balogh, is her first novel. Joanne resides with her family in Martin County, Florida.